Looking for Allsport indoor Soccer? Looking for Sportsmanager - Schedules/Standings? 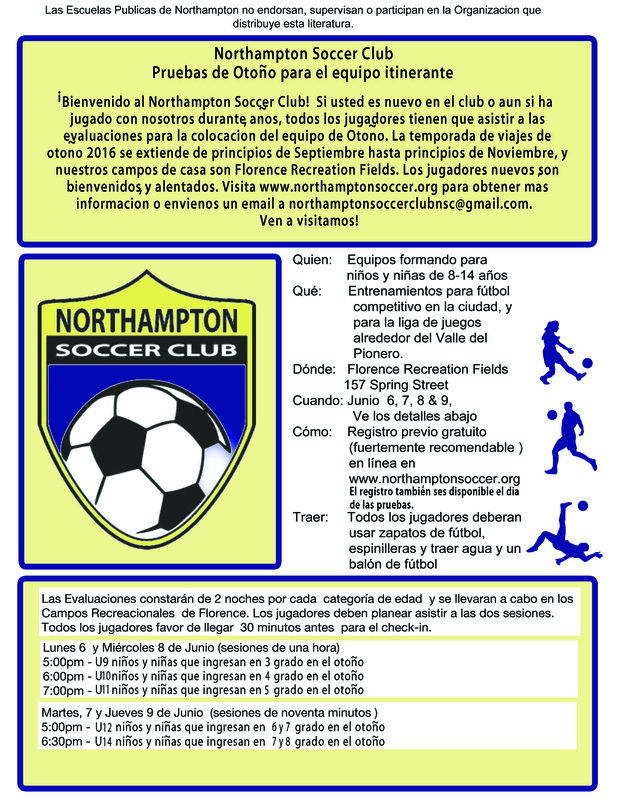 Northampton Soccer is the non-profit organization for all youth soccer in Northampton, and it includes programs for competitive travel soccer under Northampton Soccer Club, as well as Recreation Soccer for boys and girls of all ages. We work collaboratively with Northampton Parks and Recreation Department to offer playing and training options for kids of all interest and skill levels. ​The mission of Northampton Soccer is to promote youth soccer player development in Northampton and its surrounding communities through the offering of an advanced, competitive soccer program; to promote the sport of soccer in the community; and to develop sound bodies, keen minds, positive competitive attitudes and the spirit of teamwork and good sportsmanship. The Recreation program promotes soccer as an enjoyable activity while developing the fundamental skills, instruction of the rules, and elements of team play for grades 3-6. ​The Travel Program allows players with advanced interest and abilities an opportunity to deepen their understanding of the game and to challenge themselves at a higher level of competition with players at the same level from surrounding towns. March 14, 2016. 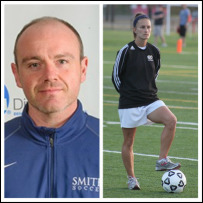 Northampton Soccer Club is pleased to welcome two professional soccer coaches to our organization. Mark Platts is Head Coach at Smith College. Jen Simonetti is Assistant Coach at Westfield State University. Between them, they hold 5 NSCAA diplomas, USSF C and D Licenses, and years of experience as coaching directors with other youth soccer organizations. Mark and Jen will run one practice per week with each of our NSC teams, will work with our development group, and will develop a curriculum for the club. They will also run summer and winter clinics for area soccer players. March 14, 2016. Playing youth soccer in Northampton just got easier--Northampton Soccer Club (NSC) and Northampton Youth Soccer Association (NYSA) are merging. After working side-by-side in town for the last 25 years, and in collaboration with Northampton Parks and Recreation Department, the two organizations are combining to offer spring and fall team play in competitive travel soccer, and local recreational soccer for ages 8-12 in fall, as well as developmental programs for players in grades K-2 in both seasons. Going forward, the combined organization will use "Northampton Soccer" as our name, but both “rec soccer” and travel soccer will continue as separate options for players and families. 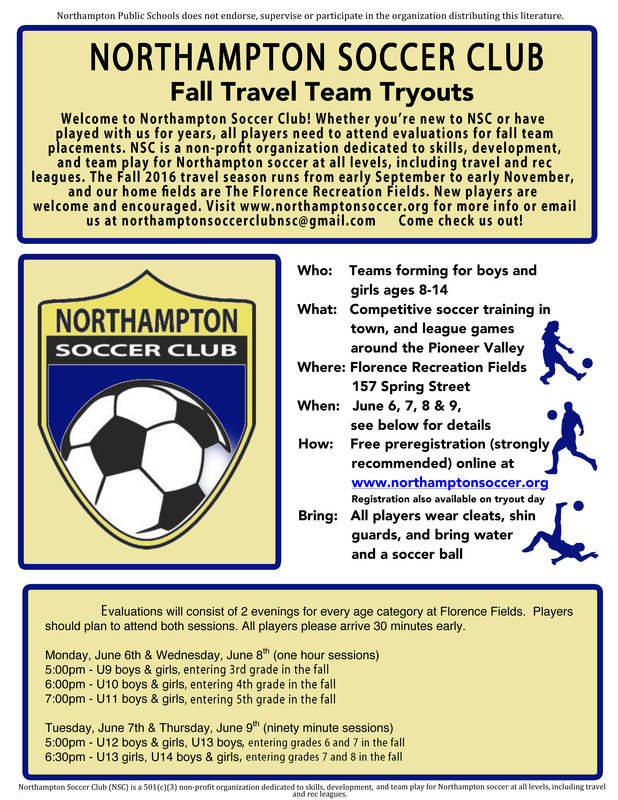 Details about fall player registration and try-outs for travel soccer will be coming later in spring, but for now we are happy to announce that all Northampton soccer is finally united in one organization. March 14, 2016. We’ve moved! 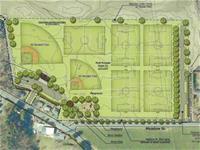 Northampton Soccer Club is pleased to announce that Florence Recreation Fields at 157 Spring St. is our new home! NSC will use these fields for practices and all our travel soccer home games. Upon christening our new home fields, we’d like to thank Mick Duda and his staff at the Oxbow for providing us an excellent home field for the last 25 years. We could not have built our great club without their support.